But, i decided to mature and even if i only entertain a few, it's well worth it. i found the most amazing quote that gave me the required kick to my derriere.. So it is with a renewed enthusiasm that i share some more cyber treats. i can't help but collect interesting tibits along the way. There is a pattern emerging of the goodies i blog about. Treats wonderful treats - glittery and eadible. you can find the recipie here. and to balance up that sugar rush, how about these little pots of delish ? Goats cheese potato gratin with crispy pancetta and balsamic glaze. pic from the wicked noodle. just click here to check out their wonderful range. And now for something completely different - i first discovered the extremely David Armand a few years ago. this clip NEVER fails to make me giggle. he's very very clever. i am always on the lookout for all things cupcake. i recedntly found these jars on 1 such search. how cute are they ? want a set ? me too. just click here - quickly now..
and now as i head off into the remainder of this lazy Sunday afternoon, i would like to share a beautiful piece of writting by Bob Marley. i'd really appreciate your feedback and comments, are you enjoying my posts ? is there something you'd really like to see ? Hippoty Hoppity - Chocolate chocolate chocolate. Easter Greetings my fellow travelers of cyberspace. I had a wonderful Easter post planned, full of great recipies, fun things to make, amazing gift ideas and all sorts of chocolate induced bliss. HOWEVER, my laptop has other ideas. So i'm very sorry but until my laptop is happy again [i'm going to call our wonderful computer guy and watch him work is magic] there will be a delay in posts. But i am mentaly sprinkling glitter everywhere. Such a simple yet effective idea to Glitter up your Easter desert table..
pic from pinterest via martha stewart. Ahhhh, such cuteness. Who said chocolate at Easter has to be in egg form ? how gorgeous are these pastel chocolate flowers from Torie Jayne ? I'm so inlove with this little guy. Just another reason why Torie Jayne is 1 of my alltime fave blogs. pic from pinterest via Torie Jayne. May your Easter be everything you wish for. Bloggers of cyberspace - are you guilty of neglecting your blog ? has life gotten in the way of your blogging time ? have you been busy with family and work commitments ? If the answer to any of these questions is YES, then you are probably feeling like me. I'm hanging my head in shame and hoping to wow you all with this post. I love love love love to cook. Given the very hot summer we are experiencing here in Melbourne, i have been inspired to experiement with ice-cream. I was watching an episode of Nigellissima, and the extremely fab Nigella made an ice-cream with cream and crumbled pavlova shells. She said that pavlova doesn't freeze. So i thought - let's be testing this. So using Nigellas recipie as a guide, i added my own glittery touches and my Lychee and Raspberry ice-cream was born. 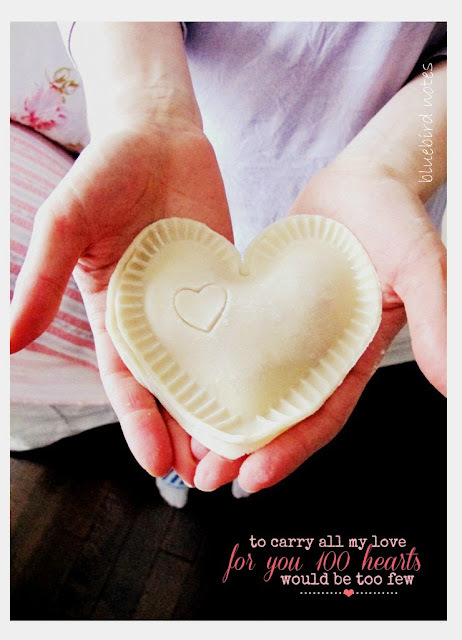 I'm still full of Happy Lurve Day vibes so i decided to use my heart shaped silicon bakeware mould. I got mine from David Jones a few years ago but being the treasure i am, here's a link just click here to purchase. Wholeport is a great company to purchase from. My lychee and raspberry ice-cream. Here are the only ingredients you will need - i'm serious..
- 1 x 300 ml tub of thickened cream. - 1 pkt of pavlova shells [approx 500 grams]. - vanilla extract to taste. i like it quite strong so i added 2 teaspoons. - half a punnet of raspberries. [or to taste]. - half a tin of lychees. [or to taste]. - chop up your lychees and place a raspberry in each heart. - crumble your pavlova shells. - whip up your cream until you get stiff peaks. - add the vanilla, lychees and pavlova pieces to the whipped cream and mix to combine. - spoon your mixture into your chosen mould, pack it in firmly or you'll have air pockets in your ice-cream. It tasted amazing even before it was frozen. Once i started taste testing, well you can see what happened. Then just pop your mould into the freezer and let the magic happen. Seriously, thats it, no churn, no fuss but ohhhh so good. If you can leave them overnight you have incredible will power. Here is the finished picture of yumminess. As you can see, i should've packed the mixture much firmer into the mould to have a perfect shaped heart. Adapted from Nigellas, 'Meringue gelato cake with chocolate sauce.' From Nigellissima page 166. Feeling inspired, i decided to try another Nigella ice-cream recipie. Again, i glittered it up alittle. So here is my 3 [count em 3] ingredient ice-cream. - 1 x shot of real coffee. - half a 395 gram tin of sweetened condensed milk. - pop all 3 ingredients into a bowl and whisk until stiff peaks form. - add mixture into the mould of your choice and pop into the freezer. Freeze overnight if possible. I was still feeling the lurve , so again i used my heart mould. You won't believe how wonderful this ice-cream is. The texture is incredible, so creamy and tre delish and quite frankly i couldn't shovel it in my gobb quick enough . Adapted from Nigellas, 'One step no churn coffee ice-cream.' From Nigellissima page 170. These recipies are just so outrageously easy to prepare that even if you don't fancy yourself as a cook, you'll be wowwing your friends and family in no time. Have a play with flavour combinations - go on be daring, you just might surprise yourself. Ahhh, Summer all i can say is 'Thankyou' for the gift that is icr-cream. Now my glittery lovelies, off you go, go on get busy. Until we next meet in cyberspace. I LOVE LOVE - AHHHHHHH. nothing makes you content like the love of someone you love. sometimes i just stare at Mr Glitter, smile and purr like a kitten. not a bad effort considering we have been together for almost 17years. 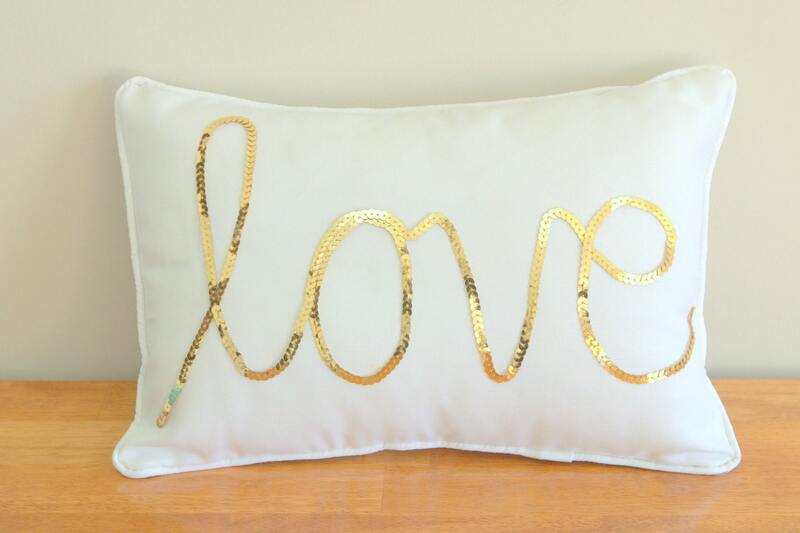 a few of my fave things - glitter,spray glue,gold paint,paper heart doilies and candy hearts. but on the upside we are sharing our dinner with wonderful friends, so there will be giggles and champagne and more giggles. Here are some more gorgeous Love Day inspired goodies that i've discovered during my cyber travels. a groovey little collection if i do say so myself. how gorgeous are these little sugar infused delights ? the full tutorial is just 1 click away - go on do it. And now something for the feet. My gorgeous friend Penny Adams from P.S I Love You recently brought some amazing shoes to my attention. the designer is Charlotte Olympia and WOW I'M SQUEALING WITH GIRLY DELIGHT. Ladies meet Delphine in all her glory..
these are perfect to help your little ones celebrate Love Day. they'd also work out beautifuly with glitter. click here for very easy to follow instructions. Time to tease the tastebuds again. here's the link - please note there are no instructions but we sisters of the glitterhood are clever enough not to need them. In keeping with happy tastebuds - these are going to be made here at Glitter HQ. 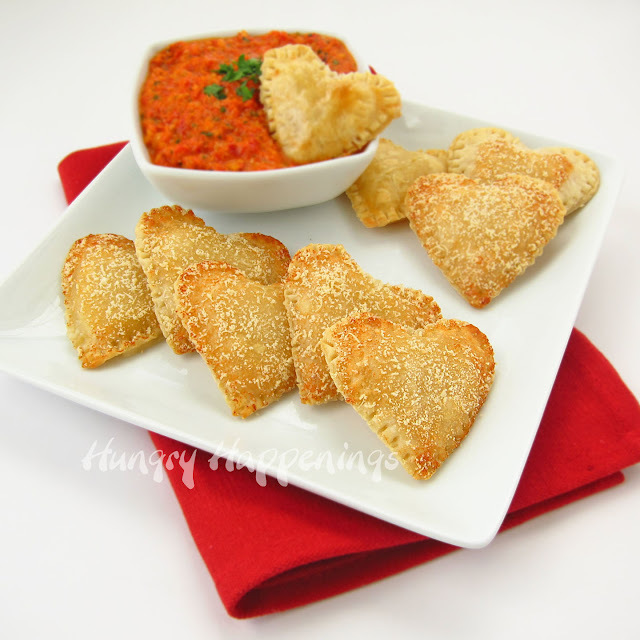 Hungry Happenings have shared mozzarella filled hearts with roasted red pepper pesto - M MMMMMM. This is 1 of my fave finds for Love Day. my mind is racing with ideas and easier ways to create this heart effect. 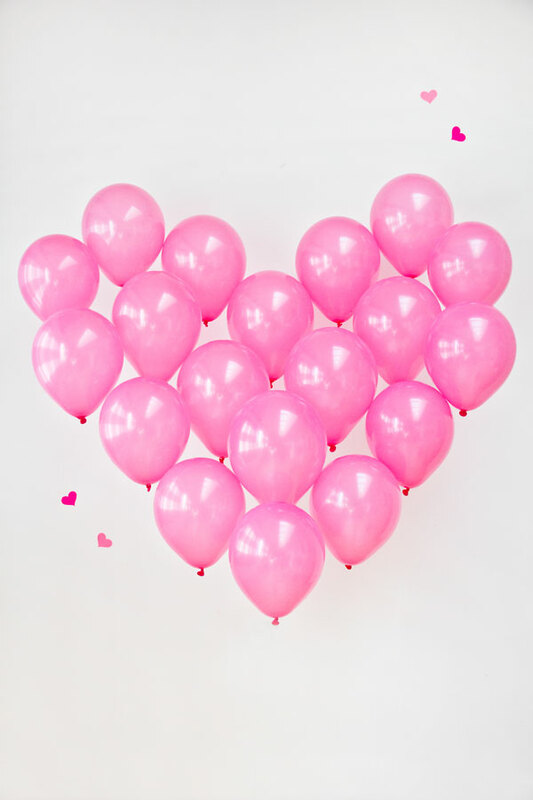 I JUST ADORE THIS BALLOON HEART from Studio DIY. how devine would this look as a wall decoration ? somepeople are very creative. this blog has wonderful projects and ideas. full tutorial and some pretty pics - here...have fun. More tasty treats [there is definately a pattern forming here] come from another of my fave foodie blogs - spicyicecream.com.au. 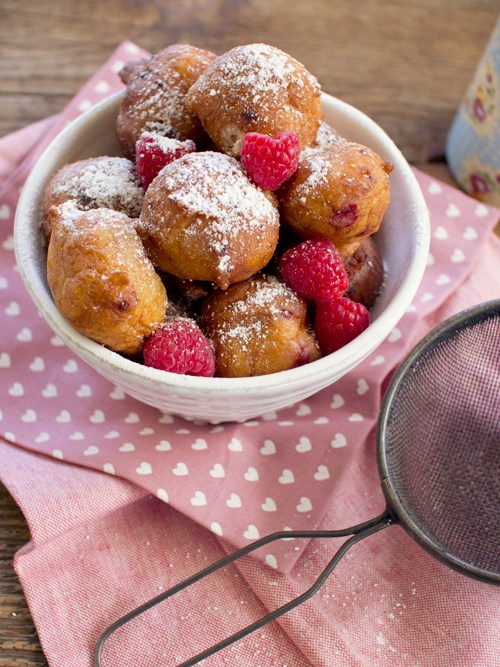 ohh little fruit filled balls of fried dough - I LOVE THEE..click and nomm. thank the glitter gods that Mr Glitter does not have a sweet tooth. i am going to make these little babies so watch this space. Meanwhile over at veryculinary.com a very clever person created this masterpiece. i love the WOW factor of this cake. i've seen it done in a cupcake with a single heart. i think it would take alittle practise but the results speak for themselves. you could use any shape cookie cutter and color combination to suit any theme, easter, christmas and for my American buddies thanksgiving and helloween. More cute yummie treats from Confetti Fair via Pinterest. pic from confetti fair via pinterest. Bite sized pancakes layed with sliced strawbs and whipped cream, pop a skewer through to secure the layers. drizzle with maple syrup if desired...yummmmm..
Those who know me are well aware of my slight obsession with candy conversation hearts. that being said, let me just say that when i found this wrapping paper fromPapier D'Amour there were squeals. I would like to share with you a few of my fave love images and love quotes. all of the following pics i found on Pinterest. pic from this is why i'm broke. Well my glittery lovebirds that's all from Glitter HQ. however you are spending Love Day may it be doing what you love with whom you love. Well with 8 days until Valentines day my romance levels here at Glitter HQ are reaching feverpitch. Let me just say that apart from Christmas and my Birthday, Lurve Day is my fave time of the year. I adore being able to celebrate Love in all it's forms. Of course, there's romantic lurve with Mr Glitter, puppy love with our furbaby and the love of the sisterhood. The happiness that wonderful friends bring to our lives need to be acknowledged and celebrated. It's a whirlwind of pink tissue paper, spray glue and of course glitter, here at Glitter HQ. Much to the delight of Mr Glitter, but a girl has to make special pressies ready to send out to her specials. Anyhoo, i do think that Valentines day has become far too comercial. As lovely as a fab pressie is I think doing something thoughtful for your partner is what it's all about. A lovely dinner, a single long stem rose, a juicy rib eye steak, a sensual massage, a little naughty favour, it does however go without saying that i'm not opposed to alittle bling. So with that in mind, here is a collection of ideas to help your Lurve Day be a special one. pic from Signed Sealed Delivered. a couple of clicks here and he's all yours. click click click - and he's all yours. Now if jewellery is on your radar then i can personal recomend Sue Sensi Designs. Those that know me know that i'm a huge fan of Sue's pieces and am lucky enough to have a tidy little collection. Here are 2 of my fave pieces that i've yet to add to said collection. Should anyone feel the need to share this information with Mr Glitter, i'd be thankful. pic from Sue Sensi Designs. pic from Sue Sensi Design. Sue is offering free delivery [within Australia]. I have always had wonderful service from Sue, quick delivery and fab packaging. I am lucky enough to have a VERY special friend Jo, that has one hell of a voice and is lead singer in Shameless Coverband. Jo sang me Adele's 'Someone like you' at my 40th birthday last year and reduced me to tears. Truely one of the best pressies i've ever recieved. Anyhoo the band is playing a Valentines gig at Tigers Club House, Hoppers Crossing. Sorry for those followers who aren't Melbournites. click here for full details - you can even have a listen to the guys in action. 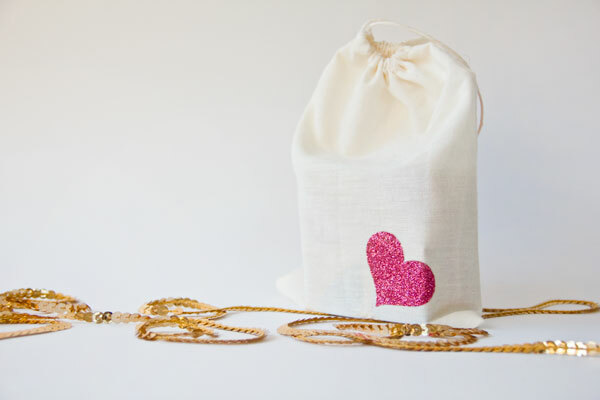 OK Pretty Glitter Gift Ideas. original post and full details availible here. 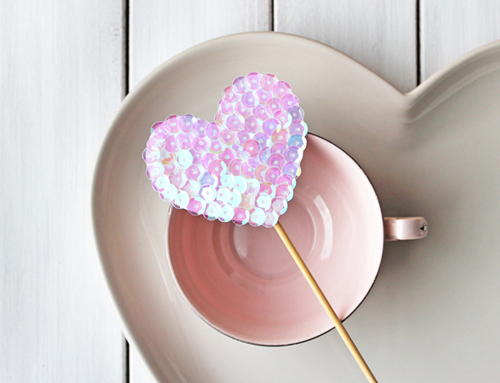 How adorable are these little Heart cake stands from sayyestohoboken.com. I'm lurving them. You can make them whatever size you want.I have a slight obsession with cupcake stands.Looks like Mr Glitter will be comming to Bunnings with me. original post and full details availble here. God bless decorative tapes and tealights. How simple yet effective are these ? I 've got some heart tape that i'm going to use for these. I don't have an original source for these little guys, i just came across them on pinterest. I think they would look gorgeous scattered around your dinning table, use any color theme you like. You could even paint on some glue then roll them in glitter. Now these little envelopes had me squealing with girlie delight. Join me in a collective sigh AHHHHHH. I found them on inchmark.squarespace.com. original post but no instructions availible here - we don't need instructions anyway. I'm going to finish part 1 of my Happy Love Day post with some super cute products. click here for these fab straws. I will be ordering 1 of these, i have a slight obsession with candy hearts. This cushion has my mind racing with ideas, i just love it. It's from MaxandMelHomewares on ETSY. want 1 ? it's just a couple of clicks away. OK THAT'S IT FOR PART 1.